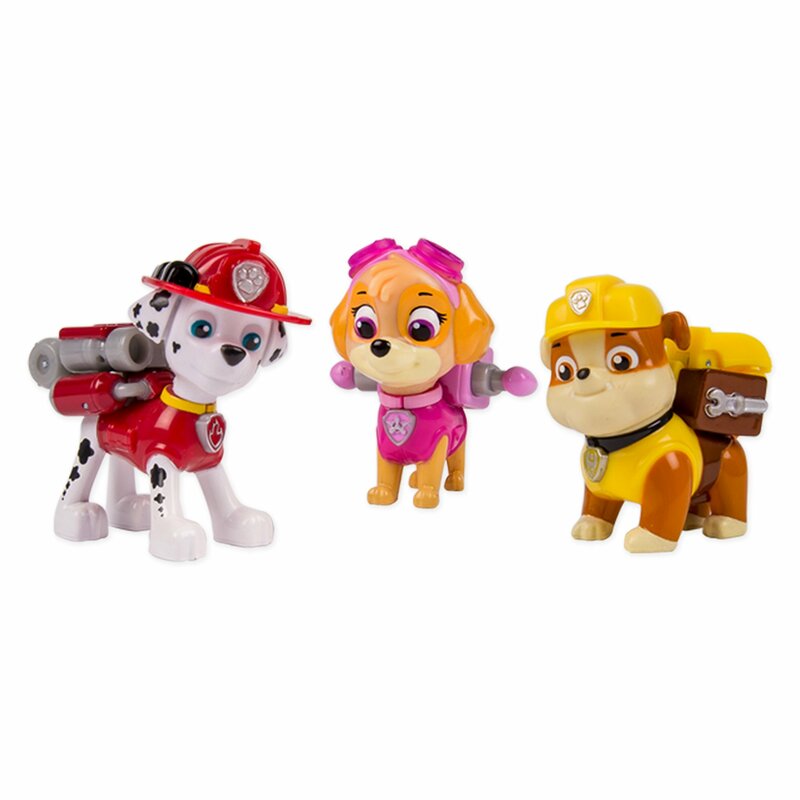 The Action Pack Rescue 3 pack features transforming Marshall, Skye and Rubble pups that are ready to save Adventure Bay! Press each Action Pack Pup's dog tag for a unique transformation that reveals their tools to help them on their adventures! Look for more 3 packs featuring all of your favorite transforming pups! The Paw Patrol Action Pack Rescue Team is made for kids ages 3+. No job is too big and no pup is too small! Now you can reenact rescue sceneswith 3 Action Pack Pups! All of your favorite Paw Patrol characters are readyto save the day as you press their dog tags to unleash incredibletransformations. Race to the ruff-ruff rescue with Marshall, Skye and Rubble!Whether it's Marshall's water cannons, Skye's wings or Rubbles digger, eachAction Pack pup is loaded with a unique transformation! Together, your child'simagination will be lit up with pup inspired rescue missions full offriendship, teamwork and bravery. With all 3 pups inside you can save the day!Recreate your favorite Paw Patrol adventures with the exclusive Paw PatrolAction Pack Pup Set!